Summary: A new study reveals an increased risk of psychological and physiological disorders in high IQ people compared to national averages. Researchers report 20% of Mensa members, with an IQ of 130 and over, have a diagnosed anxiety disorder, compared to 10% of the general public. A new study in the journal Intelligence reports that highly intelligent people have a significantly increased risk of suffering from a variety of psychological and physiological disorders. Lead author of the study, Ruth Karpinski, says the findings have implications both for the study of intelligence and for psychoneuroimmunology, which examines how stress responses to the environment influence communication between the brain and immune system. “Our findings are relevant because a significant portion of these individuals are suffering on a daily basis as a result of their unique emotional and physical overexcitabilities. It is important for the scientific community to examine high IQ as being front and center within the system of mechanisms that may be at play in these dysregulations,” she says. Karpinski and her colleagues developed a hyper brain / hyper body theory of integration. It posits that individuals with high cognitive ability react with an overexcitable emotional and behavioral response to their environment. Due in part to this increased awareness of their surroundings, people with a high IQ then tend to experience an overexcitable, hyperreactive central nervous system. To explore the premise, Karpinski and her colleagues surveyed 3,715 members of American Mensa, Ltd. whose documented IQ scores fall at or above 130. Each was asked to self-report their experiences of both diagnosed and/or suspected mood and anxiety disorders, attention deficit hyperactivity disorder (ADHD), autism spectrum disorder (ASD), and physiological diseases that include autoimmune disease, environmental and food allergies, and asthma. The team compared the survey data against the statistical national average for each disease or disorder. High IQ: A risk factor for mood and anxiety disorders, ADHD, ASD and immune dysregulation. NeuroscienceNews.com image is adapted from the Pitzer College news release. The results are surprising given that previous studies have shown high intelligence to be a protective factor for many health outcomes including heart disease, stroke, smoking-related cancers, respiratory disease, and dementia. However, these disorders and conditions are not specifically rooted in immune dysregulation. Additionally, these studies looked at increases in IQ, but stopped short of including participants with gifted intelligence in their samples. NeuroscienceNews would like to thank Nicole Tetreault, PhD for submitting this research news for inclusion. Image Source: NeuroscienceNews.com image is adapted from the Pitzer College news release. 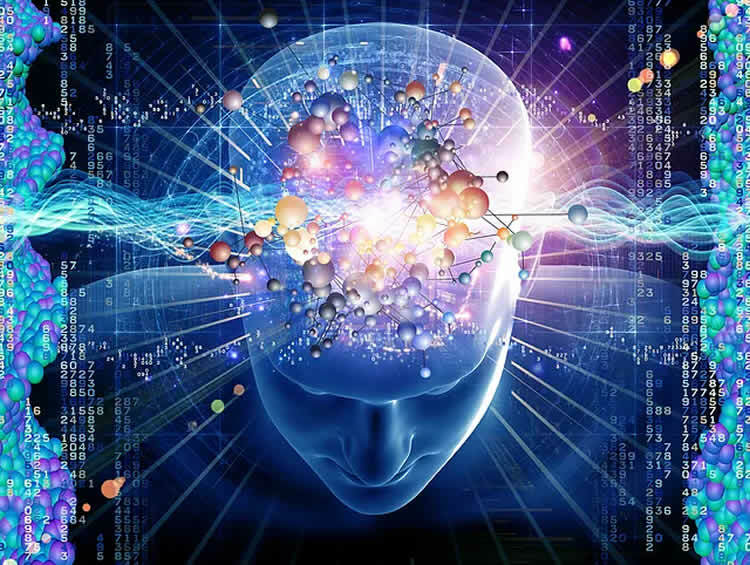 Pitzer College “Hyper Brain, Hyper Body: The Trouble With High IQ.” NeuroscienceNews. NeuroscienceNews, 11 October 2017. Pitzer College “Hyper Brain, Hyper Body: The Trouble With High IQ.” http://neurosciencenews.com/iq-hyper-brain-body-7720/ (accessed October 11, 2017). High intelligence is touted as being predictive of positive outcomes including educational success and income level. However, little is known about the difficulties experienced among this population. Specifically, those with a high intellectual capacity (hyper brain) possess overexcitabilities in various domains that may predispose them to certain psychological disorders as well as physiological conditions involving elevated sensory, and altered immune and inflammatory responses (hyper body). The present study surveyed members of American Mensa, Ltd. (n = 3715) in order to explore psychoneuroimmunological (PNI) processes among those at or above the 98th percentile of intelligence. Participants were asked to self-report prevalence of both diagnosed and/or suspected mood and anxiety disorders, attention deficit hyperactivity disorder (ADHD), autism spectrum disorder (ASD), and physiological diseases that include environmental and food allergies, asthma, and autoimmune disease. High statistical significance and a remarkably high relative risk ratio of diagnoses for all examined conditions were confirmed among the Mensa group 2015 data when compared to the national average statistics. This implicates high IQ as being a potential risk factor for affective disorders, ADHD, ASD, and for increased incidence of disease related to immune dysregulation. Preliminary findings strongly support a hyper brain/hyper body association which may have substantial individual and societal implications and warrants further investigation to best identify and serve this at-risk population. Is there a tie-in here with Elaine Aron’s Research into ‘highly sensitive people’ – those who have heightened response to sensory inputs, deep cognitive processing and emotional response? It would seem reasonable to assume you would find a good representation in your sample. Some recent research has shown possible causal links between immunity and intelligence – people with better immune systems seem to be more likely to have high IQ. The implication of this study is that high intelligence causes high stress responses. This could be conflating correlation with causation. It could be that different immune system characteristics give rise to both high IQ and also these other psychological and physiological factors. Some more experimentation should be done to tease out this relationship. I also agree with comments around selection bias – people who join Mensa are not an unbiased sample of highly intelligent people. It is true – most high IQ people by far are not MENSA members & possibly those seeking some kind of social support would be more likely to join. 1. Was the data for national averages *also* sourced from responses to the same questions asked in the same way from each member of the national population? 2. Alternatively, was the data for national averages limited only to confirmed formal diagnoses? 3. With answers for 1 and 2 how meaningful are the results of this study now? I am a member of Mensa, and I don’t believe in this at all. First and foremost, ordinary people don’t use their brains properly; if they did, we would all be “hyper-intelligent” and that would be the norm. What this study shows must be other factors at work, perhaps for people who are borderline autistic or simply have physiological problems unrelated to intelligence. The real problem here, however, is the same that makes everything about “high intelligence” so problematic: We don’t have any proper scientific definition of what intelligence is! And/or, the definitions we do have are wrong. I am one of the few Mensans who don’t believe in the whole g factor thing. Intelligence is less about genes than about environment, and many disorders, whether related or unrelated, are also due to the social environment. Mensa members are not necessarily (are not, in my opinion) representative of high-intelligence people. I found Mensans to be overly concerned with intelligence. And puzzles. The results don’t surprise me. We have taken out the factor of social conditioning and response in influencing overexcitabilities in these individuals or in anybody for that matter. This is only a very small part of the picture. Such a way to diminish the human/individual’s experience. There’s your flaw right there. People who join Mensa are more likely to have psychological issues than similarly intelligent people who don’t join. Could probably have nothing at all to do with their intelligence level. The correlation is interesting, but I was intrigued to find that the overexcitabilities all have a plausible physiological explanation if you examine unlearned primitive and postural infant reflexes, particularly fear paralysis, Moro, and spinal galant. As yet-unlearned reflexes may, if desired, be treated to reduce the inconvenience and difficulties these ovexcitabilities present.